Jayasena Dissanayake Foundation has been rendering an instrumental service to the young generation of the North Central province through their numerous community services projects and the latest of their CSR initiatives took place recently in Saliyawewa, bordering Anuradhapura in the Puttalam district. An eye camp was held for the 16th consecutive time and free eye checkups and distribution of spectacles was carried out on this day. 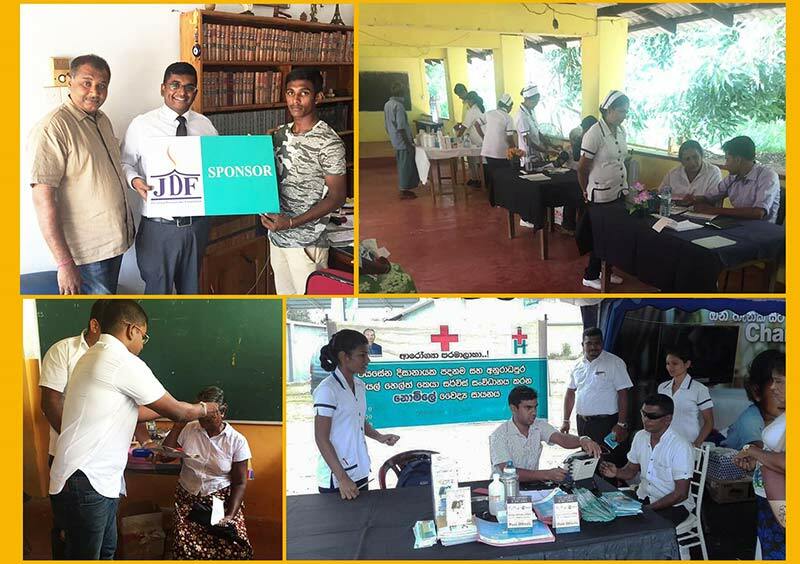 A joint project by the Jayasena Dissanayake Foundation and ‘My Vision’ organization, the eye clinic saw the participation of 4 prominent consultant eye surgeons and 300 spectacles were distributed amongst the needy. Incepted in the year 2008, Jayasena Dissanayake Foundation has carried out numerous CSR project in line with health and education, targeting the youth and the young generation of the North Central province making a mammoth contribution towards uplifting their living standards. Jayasena Dissanayake Foundation to date has distributed over 7,000 spectacles and over 25,000 people have benefitted through their health clinics over the years. Furthermore, through these medical camps the foundation identifies patients with pressing health issues and directs them for further medical treatments to the Royal Private Hospital Anuradhapura. The low income earners of Saliyawewa, Thanthirimale, Kekirawa, Medawachchiya, Padawiya, Kahagasdigiliya and Thiruvil have greatly benefitted from these initiatives. Being true to its motif of uplifting the talented next generation, Jayasena Dissanayake Foundation has proudly provided monetary sponsorship for Sri Lankan Karate champion Lahiru Sri Laksitha to take part in a Karate championship held in India. By providing school bags and school equipment and providing further financial support through the annual scholarship schemes the foundation encourages many under privileged students to carry on and engage in their education without hindrances. The monthly dry ration coupons they arrange for the low income families have greatly helped in uplifting their quality of lives and in meeting one of their basic needs. Should you wish to benefit from the far reaching CSR initiatives of this foundation you are welcome to write to them at, Jayasena Dissanayake Foundation, No 198, Courts Site, Anuradhapura.